Since Congress has determined that now is the time to repeal what little oversight we have over the Too-Big-To-Fail bankers, it’s also time to revive a concept from our nation’s past. Yes, only a few years when the Wall Street boys and gals made a financial transaction, a minuscule tax was attached. So, a few bucks went into the U.S. Treasury. It’s time to revisit the idea. Only this time, let’s make the whole idea a bit more patriotic. 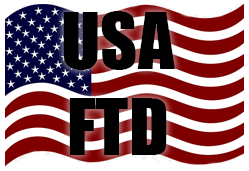 Let’s call it the, USA Financial Transaction Donation (FTD). That way we’ll all fell a little better about it because it’s not a tax… it’s a donation… and it’s just for Uncle Sam, don’t you know. Best of all, the “R” people can run it up the flag pole and feel good, too. The FTD is simply a sales tax on a trade of stocks, bonds, or derivatives. In fact, it’s just like the sales tax which most of us pay every time we purchase something, only we pay a lot more... like .06% on the things we purchase here in Michigan. The FTD legislation already proposed by Rep. Keith Ellison (D-MN) and Sen. Bernie Sanders (I-VT) would be in the order of 0.5 percent on stocks, 0.1 percent on bonds, and 0.005 percent on derivatives or other investments. As I mentioned, FTDs are not new. In fact, they are currently law in the United Kingdom and 20 other nations, including France, China, and Italy. Indeed, a financial sales tax was formerly the law in the United States, too, from 1914-1966. According to Robert Pollin, co-director of the Political Economy Research Institute at the University of Massachusetts, Amherst, such a tax could raise around $220 billion per year, which equalsapproximately 1.2 percent of current U.S. GDP. Still, that’s a good amount to keep in reserve for that Come and Get it Day when we are once again forced to bailout the Too-Big-To-Fail bankers. How Bernie Sanders' Wall Street Tax Would Work, Jim Zarroli, NPR, 12 Feb 2016. Have you heard about the Robin Hood Tax movement? Do Snails Portend Human Memory Transfer?